Welcome. 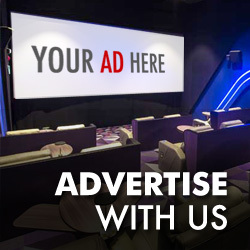 You are now registering for a membership with WE Cinemas. There are 2 membership types; Basic and WE Club. You may upgrade your Basic membership to a WE Club one by collecting your card over our counters, and activating the card here. Find out other benefits WE Club membership has to offer HERE. More information HERE on how to apply for WE Club membership card. Do you have a WE Club Membership Card? Leave this empty if you do not have one. Future Updates Notify me via EMAIL. I hereby declare that the above information is true to the best of my knowledge.